I admit it — I was a little stressed coming to this week’s His Encouragement post. I kept waiting for that one verse to strike me during my studies, but it never did. I was really starting to get nervous. I hate that empty feeling you get when you get writer’s block. It’s awful. But then today, during my Bible study of Song of Solomon, God whispered in my heart to discuss Bible translations. How odd, right?! I told God, “OK,” but I really didn’t know what He wanted me to do with this. Then I came to verse 4 in the second chapter of Song of Solomon. I first read SoS 2:4 in my CSB (Christian Standard Bible) translation. I admit that I didn’t think anything of this verse until I read the same verse in my ESV (English Standard Version) translation. Then I noticed the differences. And then, God showed me what He wanted me to share with you today. A side-by-side comparison shows us a couple of things. It shows us that the CSB calls the book Song of Songs while the ESV calls it The Song of Solomon. Odd. Why the difference? I actually researched a tiny little and found that the translators for the ESV believe the book was penned by Solomon, but the translators for the CSB don’t believe Solomon was the author because he was never faithful to one woman. Interesting idea, but that feels more like conjecture on the part of the translators. Yes, Solomon was never faithful to one woman, but that doesn’t negate his physical writing of the text. The text itself says, “The Song of Songs, which is Solomon’s.” Since I believe the entire Bible to be God-breathed, I think it is fairly obvious — the book should be called The Song of Solomon because of the very first line. The most staggering difference between the two translations is the “and [pronoun]” phrase. In the CSB it’s “and he looked on me with love,” yet the ESV translates this phrase as “and his banner over me was love.” This one verse translated in two different ways illustrates two completely different ideas. The CSB misses the point completely (in my humble opinion). According to the CSB, the man brings his woman to a hall and looks at her lovingly. BUT, in the ESV, the man brings his woman to a house of joy, of festivity, of feasting and puts up a banner declaring his love for his woman. 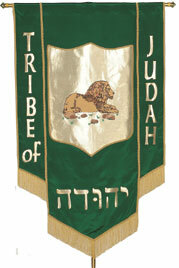 In ancient days, kings would raise banners that symbolized them as leaders. Typically, they would use specific symbolic colors, words/phrases, and images. The banners would declare to the world who they were as kings. This is the kind of banner this man in Song of Solomon raises for his love. The banner declares to the world how much this woman means to this man. Isn’t this such a beautiful picture? And, it is completely missing from the CSB translation. Here is the point that God whispered to me in my Bible studies: translators, like any other human, are fallible beings. Be mindful of the translations you choose when studying. I don’t think there is such a thing as a “bad” Bible version, but I do think the intent behind each type of translation is important to know beforehand. As we enter into a new year of Bible studies, remember to consult multiple translations and resources to help in your understanding of God’s Word. And, always pray to God when even the translations don’t make sense! Whoo! I know this is a really big post — much bigger than I intended — but a good reminder that was put on my heart to share with you. I hope this message today inspires you as it has me. May your Thursday be a blessed one, and I thank you for taking the time to read this post today. God bless you all! Wonderful post today, Nicole! I too like reading different versions to get a clearer picture/idea of what the Bible is saying. When I was younger we sang a song in Sabbath School that goes with this verse in the Bible. I found a youtube video with the lyrics if you’d like to hear it. Wonderful comparison of the two different translations! Thank you for sharing your thoughts. I agree that the CSB translation, while conveying a nice message, seems to lack the extra power and emphasis provided by the ESV and other similar translations.